Rajamouli’s Garuda NTR or Mahesh Babu? 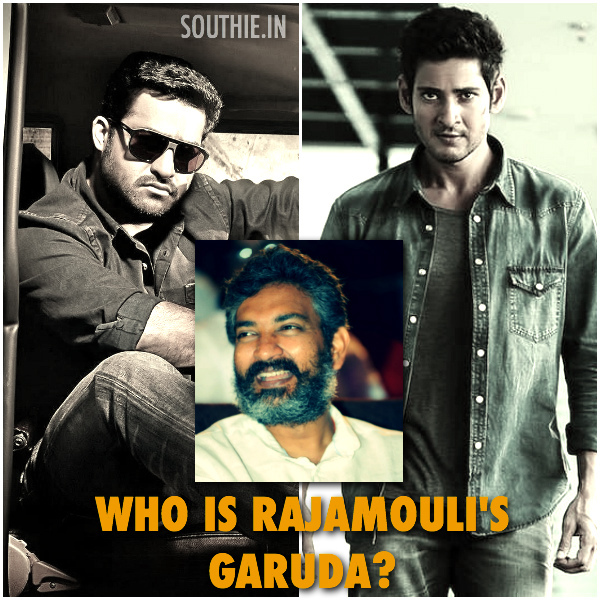 Home/NEWS/Rajamouli’s Garuda NTR or Mahesh Babu? Rajamouli’s Garuda NTR or Mahesh Babu? Who is the front runner for this Magnum opus. India’s Biggest movie ever to be made. When will this movie go to floors. SS Rajamouli will reportedly direct another next magnum opus -a Rs 1,000 crore project – which has tentatively been titled “Garuda”. It indicates that the movie is the mixture of mythological and fantasy elements. Malayalam superstar Mohanlal is rumoured to be part of the much awaited project, which will be based on the epic Mahabharata. Some time ago, both Prince Mahesh and Rajamouli stated that they would team up soon. Will Mahesh act as Rajamouli’s ‘Garuda’? There are also rumours that Young Tiger Jr NTR will be playing a major role in the movie. Whether he is the protagonist or not is still to be seen. The official confirmation is sought on this matter from the Director himself. “Garuda” is expected to go on floors only in 2017, as Rajamouli has to complete the sequel of “Baahubali”-“Baahubali: The Conclusion” and two other big budget films with Superstar Mahesh Babu and Allu Arjun.